From Aug. 21-25, 2018, Seattle-Tacoma International Airport (SEA) will serve as the official host for the annual Airport Business Diversity Conference, the flagship event of the Airport Minority Diversity Council (AMAC). Airport officials are pleased with the strong registration numbers—and the opportunity to advance SEA’s long-standing goals of providing more opportunities to women, minorities, veterans and small-business owners. Key Benefits: Reinforces SEA’s strategic plan of increasing diversity; brings together stakeholders from all areas of aviation industry; educates local groups representing women and minorities about new opportunities available at airport due to renovation project. 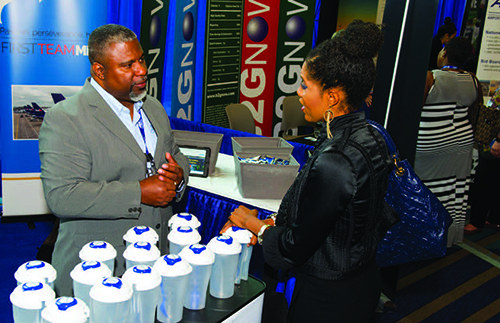 Brumfield is pleased with the healthy mix of industry professionals expected to attend. “We will have many owners of women- and minority-owned businesses, as well as representatives of Fortune 500 companies, aviation, hospitality, travel and logistics, energy, retail, transportation, telecommunications, finance and banking. Federal, state and local government agencies also are represented,” she adds. The timing of this conference worked out well for the airport, because Sea-Tac is in the middle of a major renovation that will add approximately 50 new businesses in the Airport Dining and Retail (ADR) category. Many current leases also will be expiring in the next two years, creating more opportunities for newcomers. “We have asked AMAC to help us in recruiting for this ADR redevelopment program,” Lyttle says. “We have been working really hard to reach out to minority and small businesses to apply for leases. “Hosting the AMAC conference is a way for our local businesses to get exposed to opportunities, not only at the airport but also with other airport businesses around the country. 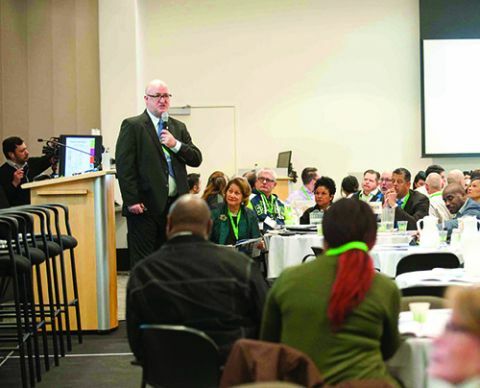 We reached out to local small businesses here in Seattle to let them know about AMAC, and encouraged them to attend this year’s conference as well as its other seminars offered at other times of the year,” Lyttle continues. Airport officials worked closely with AMAC on all aspects of planning the conference, from suggesting speakers to helping plan social events. “Once AMAC asked us to host this event, we were very happy to oblige,” says Luis Navarro, director of the office of social responsibility for the Port of Seattle. Navarro also serves as the co-chair for the conference, along with Dawn Hunter, the senior manager of the airport dining and retail program. “Providing more diversity is one of the priorities in our Strategic Plan,” Navarro says. “We thought it would be appropriate for women and minorities not only from here but from all over the country to attend. “Above all, the conference will provide the opportunity for people to get to know each other. A lot of business can get done through personal relationships,” Navarro adds. The PortGen workshops are limited to only 50 people, for a more personal atmosphere. If demand warrants it, more workshops on the same topic will be added, Lyttle explains. SEA also is very bullish on promoting kiosks, according to Lyttle. “We have a kiosk program for small businesses. We will build them the walls, and offer them a six-month trial to begin. This offers the business owner a chance of starting out without a huge long-term commitment. If the business prospers, we eventually hope to sign them to a long-term lease,” he says. The 2018 AMAC Conference is expected to draw approximately 1,000 attendees and 40 exhibitors. “We are very happy with the expected turnout, and with the quality of our workshops,” Brumfield says. “This year, we will offer more than 20 informative and inspirational workshops, featuring presentations from leading and subject matter experts. For the first time this year, we created four tracks, so attendees could focus on the subject areas most pertinent to their professions. The tracks are Concessions; Architecture, Engineering and Construction (AEC); Professional Development; and FAA/Government. “Besides our workshops, we intend to release the results of a research study we conducted in partnership with the American Association of Airport Executives (AAAE). We wanted to get the answers to several key questions, such as: Where are the jobs? Where are the opportunities? Earlier this year, we sent out the survey to about 200 airports, and are optimistic we will get a good response. We believe this study will be a valuable resource not only to our members but to many other segments of the aviation industry,” Brumfield says. Above all, Brumfield believes AMAC’s annual conference will provide representatives from all segments of the aviation and aerospace industries an opportunity to meet face-to-face and get to know each other. “Getting people we represent (Minority/Women/Disadvantaged Business Enterprises (MWDBEs)) a chance to interact with airport operators, government officials and corporate executives is always a positive thing,” she concludes.